2017 - A year to remember? Well it’s been a bit of an up and down year. I can honestly say that the spring was very poor. With crazy weather - one minute hot (28-30 degrees), the next cold - from March until June and the fish spawning was very inconsistent. But despite this if you got the timing right then you were into some of the big fish. Alex was out again from peg 8 in April at just over 70lb. Some of the other big fish made an appearance on the same day in pegs 1 and 2 to 58lb but other than that none of the A Team graced the banks before spawning. This year spawning was very heavy and I think all of the big fish spawned well. Weights were well down in June and early July and I expected the fish to take some time to get back up to their best weights. But to be honest July, August and September the fishing was remarkably consistent with lots of fish being caught and lots of 50lb and 60lb fish turning up like buses. The fish seemed to be on the feed heavily and by September they were back up to big weights and, not only that, I was seeing a lot of new fish smashing 55lb. Almost every few days there was a fish I was saying “not seen this one this big before”. And the bigger fish were also going very well with Mr Magoo and Moonscale all smashing their previous best weights and going 68lb. Brian had been out just after spawning at 61.8lb and I suspected would not be far behind these fish. I could not wait for the Autumn as I expected that if the big fish got on it then someone was going to have a very special session. I believe that we currently have three or four fish over 70lb and the number of new 60lb fish I have seen leads me to believe we have at least 10 more fish over 60lb and possibly 15. We had five fish caught August, September and early October between 58/59lb which will all go over 60 and they are not included in my ten known 60lb fish. Three Scale is a good example of a fish not really on my list of big, big fish. This fish I have seen only once before spawning at 55lb. It’s been a low 50lb fish. This November it was caught by Tommy Towers at 61lb and I think it will go much bigger now. It’s a very long fish and it’s those fish that have been putting a lot of weight on this year. But again, the Autumn has proved difficult to tempt the bigger fish. The weather fell off a cliff and the water temperature dropped very quickly from 17+ to 15 to 12 and then to 9 in just three weeks and November has proved a real challenge this year. As I write this, they seem to be back on the feed and are showing all over the lake, so winter feeding will commence next week. It’s fair to say that it’s getting harder now at Ribière. The fish are getting older and wiser and I have not stocked any new fish in the main lake for two years now. So, no fresh blood to go at. But the quality of the fish is improving and the condition of the fish has improved massively. 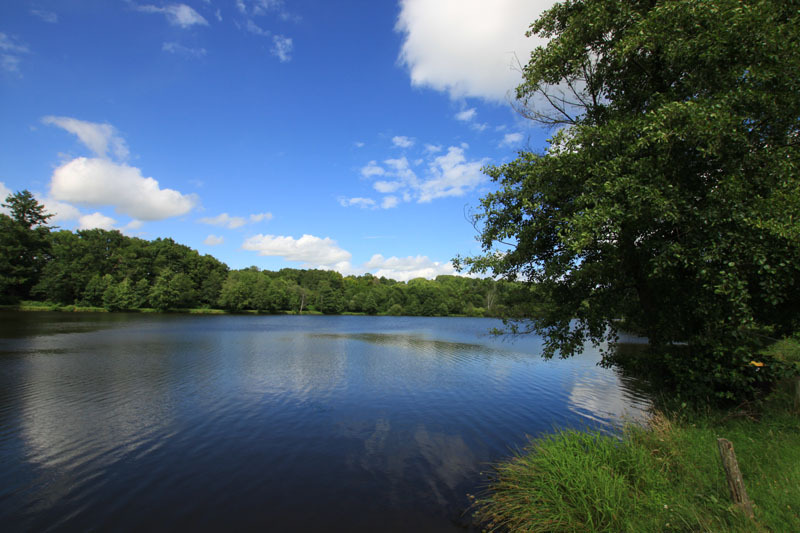 Big hits – over 50 fish in a week for an angler - are few and far between. But if you get it right you can still get the results. You have to work hard for the fish and angle your way through your week. So here are just a few sessions which stand out in my mind from this year. I will try to pick from the spring, summer and autumn. Peter Belo and family had another great spring session with over 50 fish to 55lb. They are so consistent with their fishing and I look forward to seeing them again soon. Team Vanderweyer – Piero and Jo - fishing their May/June session during and after spawning also had a consistent session and caught some of the big 50lb fish before they spawned. They landed some big fish to 58lb including Black Spot. Great fishing from two great people. Greg and Kevin Lewis fishing their two weeks summer holiday also had another session to remember. 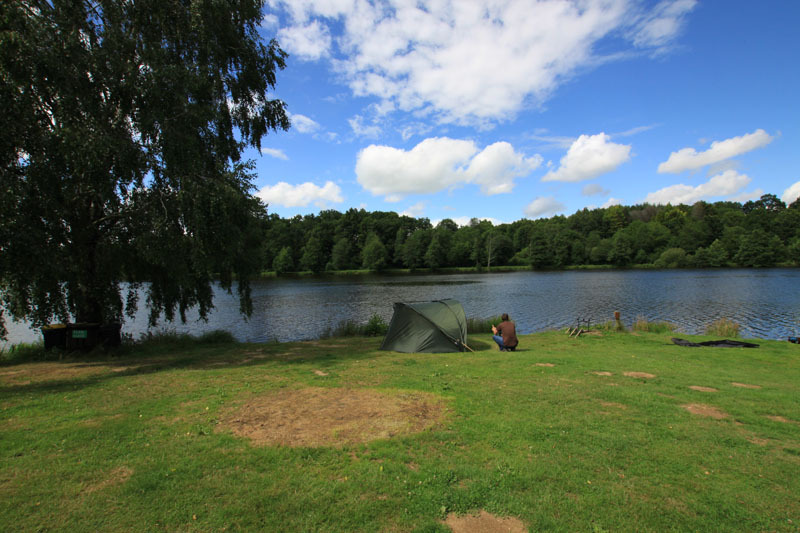 Very consistent fishing for the pair who landed some stunning big fish to 58lb. I lost count of the number of 40lb fish they had, it was truly stunning. And some very nice 50lb fish between 55-58lb. Two I had not seen before at these weights. Great fishing from the boys and we look forward to seeing them again next year. Peter Boulton (August) another regular also had a great couple of visits this year topped with a stunning brace of fish in the shape of the big common at 58lb and then the fish everyone wanted (and its only visit to the bank this year) Moonscale at 68lb. This fish was last out the previous August to Julie Stevens and was 65lb. 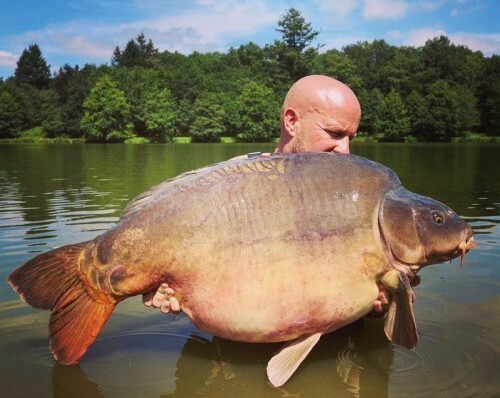 I think this is a male fish and in my view will be the next new 70lb fish at Ribière and one that has the potential to go very, very big. We should all keep our fingers crossed for this fish as it’s very special and quite young. I was desperate to see this fish in November as I think it will be at least 72lb and could go 75lb. I will try to catch it over the winter and see. Well done Peter a great result again. Peter Hergt and Marjo (September) who most of you will know had a session to remember. The last couple of visits Peter has struggled to get onto the big fish but this year he smashed it, changing his tactics from previous visits. His first four fish (within the first 24 or 36 hours) were 49lb – 57lb – 68lb and 68lb landing Mr Magoo and Alex. All on different rods. Well done Peter an amazing run of big fish. He went on to land quite a few more. Jeroen Albers (The Carp Specialist) Had a great summer session in pegs 8/9. He book on the spare of the moment and had I think 11 fish including Alex. It's fair to say that Ribiere has been a challenge in previous sessions but his hard work and confidence has grown with each visit and the results showed. 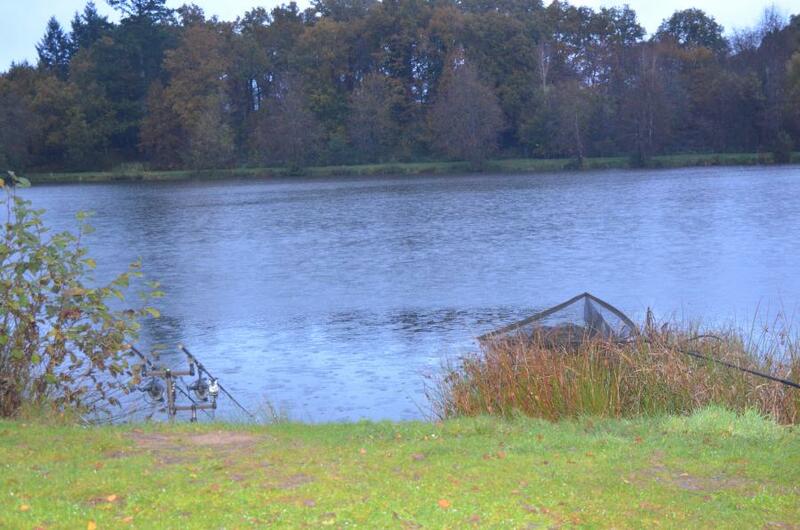 Alan and Jamie Viney had the biggest hit of fish for the year fishing October. They had over 60 fish including six fish over 50lb to 58lb. Jamie had the big common the third time it was out this year and at a consistent weight. I hope this fish will be the first 60lb common in Ribière, but it will be pushed by Cookies Common which is a special fish. Jamie smashed his PB I think three times and Alan had five fish over 50lb but the elusive 60lb fish did not arrive. In fact, that week we had Mr Magoo out from peg 6. The big big fish has stayed away from the main group all year. Jamie also had ‘Big Scale’, a fish I had not seen for some time and looking great, one of my favourite fish. Other anglers who caught my eye catching in difficult conditions were Pascal Beelens who had Mr Magoo at 68lb from peg 7. What a great character and I was so pleased as it was his birthday treat and a new best. Wim Doeleman also had a birthday treat landing Alex from peg 8 - a fish he had been after for some time and made his week. Although that may have been marred just a little by the pain of the barbed hook that I had to remove from his finger in the same week. 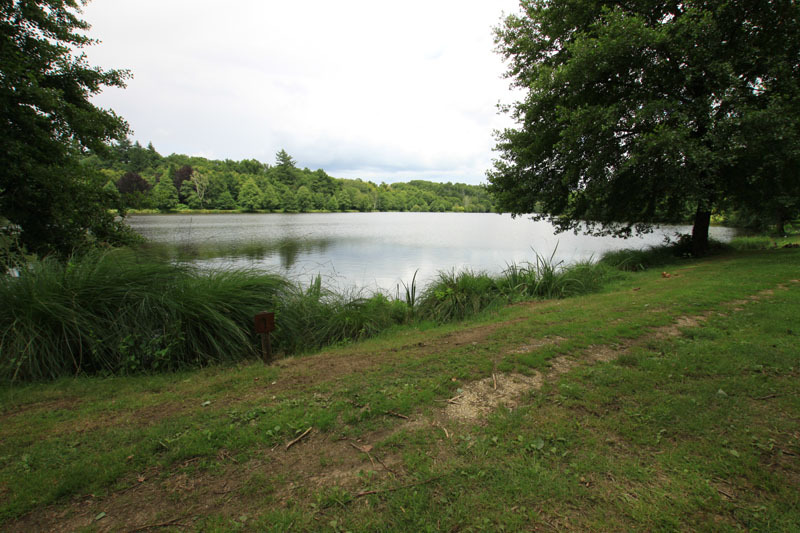 A number of our regular French anglers stand out. First Christoph Casty Rigal who arrived late for his session, fished Wednesday and Thursday, had one run and landed Alex. He was fishing in peg 6 with his friend Theo Hilsenkopf in 7, who was having a steady session landing some nice fish but Christoph came, saw and conquered. Sometimes fishing can be so rewarding and others so soul destroying. Second to mention was Christian Clairac who has struggled to get into the big fish but this Autumn managed two over 55lb and a new 60lb fish. What a session. It blew him away. In early April Michel Beaumont and Bernie Colbeau also managed to get into the bigger fish in very challenging conditions both landing fish over 55lb and one of the 60lb fish, I think Brian. 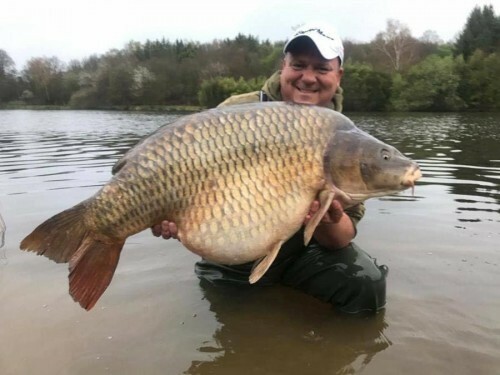 Incidentally, their week coincided with Gary Covell and Alan who were fishing the other end in peg 8 and 9 and both had nice fish with Gary catching the big common at 58lb. All three of the big fish came within an hour of each other. Also Alex Chat fishing his normal Holiday slot did well with fish to 56lb. This was during a very difficult period of hot weather, and high pressure. Some great sessions and only some of them. lots more I could highlight. One observation I have is that every peg this year had at least one fish over 60lb. I think that is a first here. I also noted that the big fish all tented to come out this year from the higher peg numbers. Alex 8,8,7,6. Moonscale 7, Brian 9, Mr Magoo 7,7,6. They seemed to spend a lot of time feeding at that end of the lake this year, away from the main group of fish. This year we lost 22 fish two with mouth damage and the rest during the very hard and difficult spawning period. Almost double what we lost the year before. Sadly, we lost two special fish. The Long Leather which was a 60lb fish and a big Linear at 55lb. Two very hard losses to take. But, unfortunately, it’s part of the cycle of fishing. This year the spring weather conditions were very changeable and spawning was very hard, which stressed the fish out more than normal. As a result, moving forward we will close for two weeks to allow the fish some time to recover and get back to full strength. I will close the last week of May and the first week of June to give the fish a rest. It’s difficult as we don’t know when they will spawn but we will see how this works. This will start from 2019. In addition, from 2018 there are some rule changes. I think it’s made a big difference taking all the pictures in the water. I also now want all fish to be weighed in the water. In effect you must do everything in the water and not take the fish out. 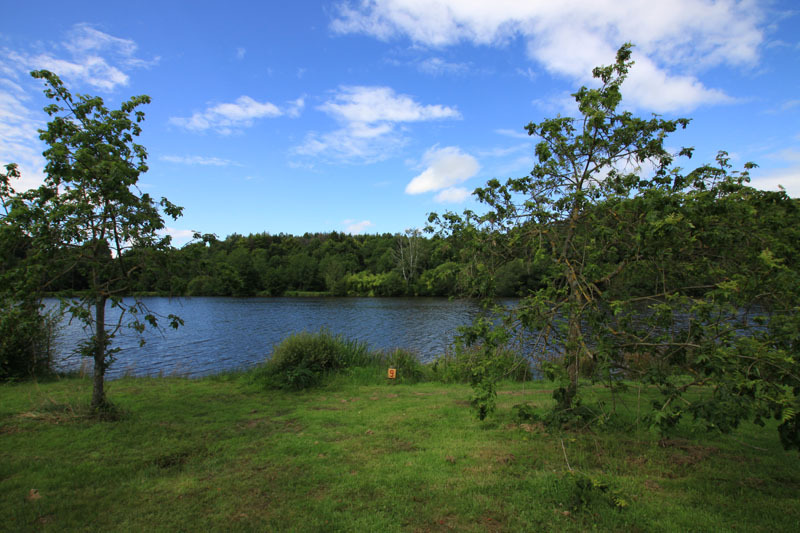 Peg 4 will now fish with barbless hooks please and drop off leads. Still too many fish being lost and the result are fish trailing line and the increased risk of fish being tethered. We lost two good mid 30lb fish to mouth damage from trailing and some fish have been very lucky and we have managed to catch them with lots of line and trailing twigs. 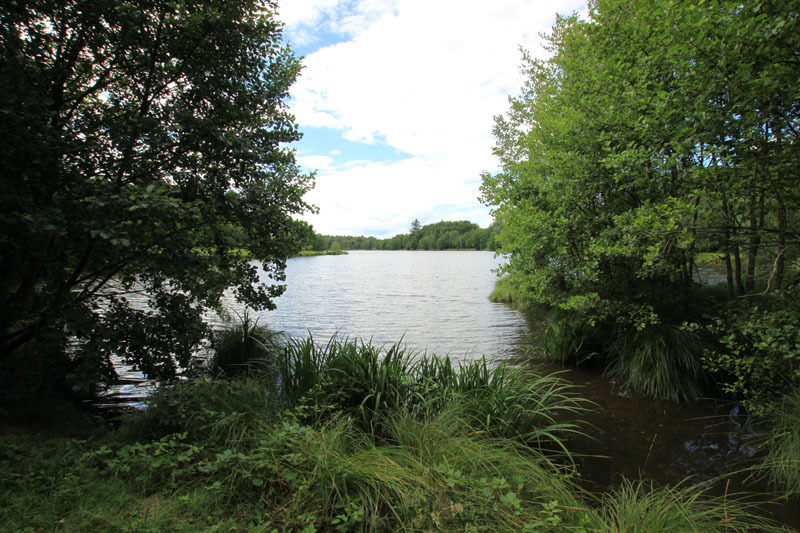 We will be making it much easier for you to get into and out of the water by adding some steps over the winter but it is essential you bring waders or are prepared to get into the water. Please read the blog on the website for more information and please read the rules before your visit as we do update them from time to time. One of the reasons the fish are putting on weight is that we have stopped maggots in the spring and Autumn. This will continue moving forward. But also introducing quality fishmeal baits has paid off big time, especially during June to the end of October when they out-fished most other baits. Ribière Gold accounted for half of the 60lb fish on its own. Alex twice, Mr Magoo and Brian all caught on the Gold. Over a tonne has gone in this year and I will be putting another 300-500 kg over the winter as normal - weather and water temperature depending. Winter feeding will also include pellets and maize. I expect more people to use Ribière Gold next year as this year it has proved itself as an effective bait. We do make some subtle changes to the bait during the year. We change the amino profile depending on the water temperature and we also add fenugreek to give the bait a kick in the winter. Please also make sure that you get your orders for bait and particles early as everything is made to order fresh for your visit.